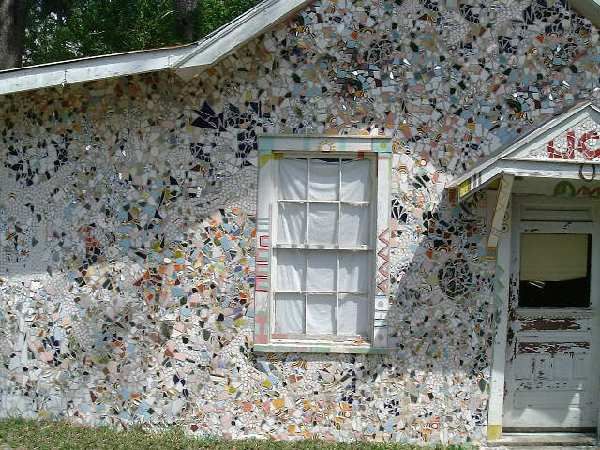 The west wall of the "House of Shards" in Abita Springs, Louisiana. A detail of the West wall. The wood trim is painted. 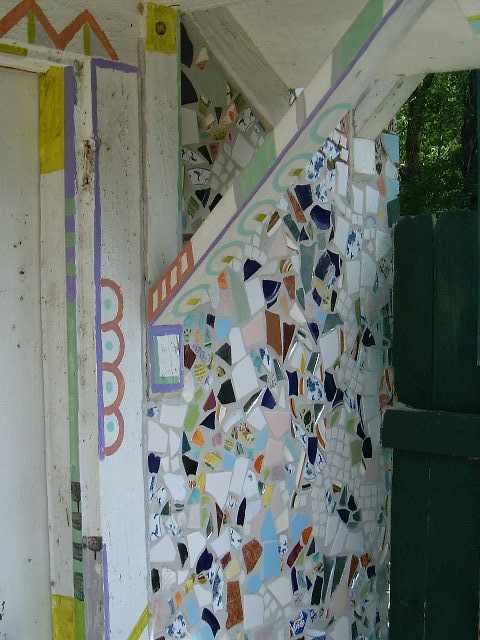 For links to other mosaic sites CLICK HERE.